Sometimes you might date someone who feels that you are too good for them. This can be down to insecurity or low self esteem. They’ll be paranoid and possessive which will cause you both problems. 1) Surprise him every now and again. Send him a love letter or cook him a suprise meal. This will show subconsciously show him that you are thinking about him even when you aren’t together. 2) Be a good listener. Show him that you value his opinions and what he has to say. People naturally feed connected when they believe they are being understood and listened to. and let him overhear you telling others how wonderful he is. 4) Make yourself available. Always take his calls and make time to be together. If you disappear it can make him think the worst. 5) Give him an item of jewellery (such as a watch) that he can wear. Every time he thinks about you he’ll look at it and have an instant psychical and mental reminder about how much you care about it. 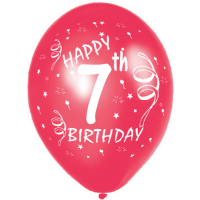 We are 7 this week! A big thank you to everyone that came to help us celebrate at our two big 7th Birthday parties last Saturday. Our 30s to mid 40s party took place at Digress City with optional ceroc dancing and our Asian party was at The Cuban Bar. We’ve had some great feedback about both events so we hope you all have lots of fab dates lined up from it. your support over the years. We are constantly evolving and improving the services that we offer, so if you have any suggestions do let us know! Our next big party is our Halloween party on Sat 31st October. Halloween is always one of the “Top Three” parties of year, along with Valentines Day and Christmas. They always attract large numbers and we’ve pushed the boat out this year with a live band, tarot reader and magician. We’ll be decorating the venue and will have some great prizes for the best costumes.